Initially the Merrimack Valley Chapter, now the second-largest chapter of the AMC. Offers hundreds of trips and activities each year. Founded in 1908. Maintains seven trails on Mount Chocorua and Mt Paugus, also assists in maintenance of trails on Conservancy lands. 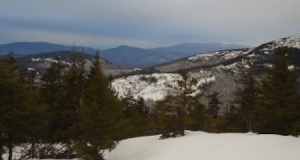 170 miles of wilderness hiking from southern Crawford Notch to the Canadian border at Pittsburg, with option to continue via the Sentiers Frontaliers network to Mt. Megantic or Mt. Gosford in Quebec’s Eastern Townships. The only international trail system in NH and the 2nd international pathway in the East. Sentiers Frontaliers: A non-profit organization in Quebec that promotes outdoor, non-motorized activities such as hiking and snowshoeing. Manages and helps maintain a network of non-motorized trails in the territories of MRC du Granit and Haut-Saint-François, with connections to the Cohos Trail. Oldest (since 1909) and largest collegiate outing club in the US, initially to “stimulate interest in out-of-door winter sports” but quickly grew to encompass year-round outdoor recreation. Maintains more than 50 mi. of the Appalachian National Scenic Trail and plays an active role in environmental stewardship. Functions as an umbrella organization for about a dozen member clubs, each specialized in an aspect of outdoor recreation. Cabin and Trail: One of many divisions of the DOC, offering day hikes and overnights all over NH and VT. Responsible for maintaining 75 miles of Appalachian Trail, along with shelters on the trail and the DOC cabin chain. This branch of the New England Mountain Bike Association was founded in 2014 in order to steward and expand upon a large network of trails in the Plymouth, Campton, Thornton and Waterville Valley areas. Its mission is to work closely with land managers, private landowners, local governments, and Federal groups to preserve access to sustainable trails for mountain bicyclists of all abilities. Founded in 1910. Maintains a network of nearly 102 miles of hiking trails, principally on the northern slopes of Mt. Madison, Mt. Adams, and Mt. Jefferson in the Presidential range of the WMNF and on the Crescent Range in the town of Randolph. Also maintains two cabins, one shelter, and one lean-to. Organizes summer social events and hikes. Has published maps and a guidebook since 1917. Supports and promotes safe use and stewardship of the Shelburne area trails through restoration, preservation, mapping, and maintenance, and the sharing of the collective knowledge of its members. Since 1904-1905 has been dedicated to conserving for public benefit the natural beauty, peaceful character, and resources of the watershed. Promotes the protection, careful use, and shared enjoyment of the lakes, mountains, forests, open spaces, and wildlife of the Squam Lakes region. 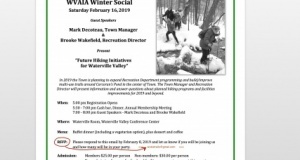 Its mission is to preserve the legacy of trail stewardship in the White Mountains Region by supporting and enhancing sustainable care of our trails. The goal of the Collective is to realign trail stewardship in the White Mountains region in a manner that better utilizes and implements funding, trail crews, volunteers, and other resources in a more collective way. Caring for the Sandwich Range since 1892. Maintains 52 miles of hiking trails; restores and reconstructs deteriorated trails; teaches and advocates Wilderness trail maintenance skills and conservation; assists private landowners that host local hiking trails; publishes a newsletter, map, educational materials, and the Guide to the Sandwich Range Wilderness; hosts presentations and maintains a library of cultural and historic information; and more.